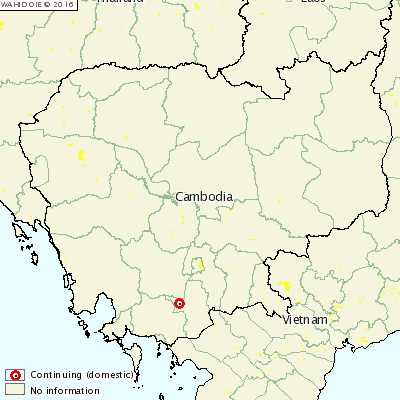 CAMBODIA - An outbreak of porcine reproductive and respiratory syndrome (PRRS) has been reported on a Cambodian backyard pig farm. PRRS broke out on the farm in October and was confirmed and reported to the OIE last week. The village pig unit, located in Li Nha, Takeo, was home to 104 pigs. In total, there were 36 confirmed cases leading to 13 deaths.